Welcome to my website. I’ve been an entertainer all my working life for all kinds of audiences. And the common thread through it all has been the presence of a ukulele (or three!) This instrument brings together so many people in ways that nothing else can. I look forward to entertaining you one day and meantime I hope my DVDs, CDs and Books help you along your own musical path. 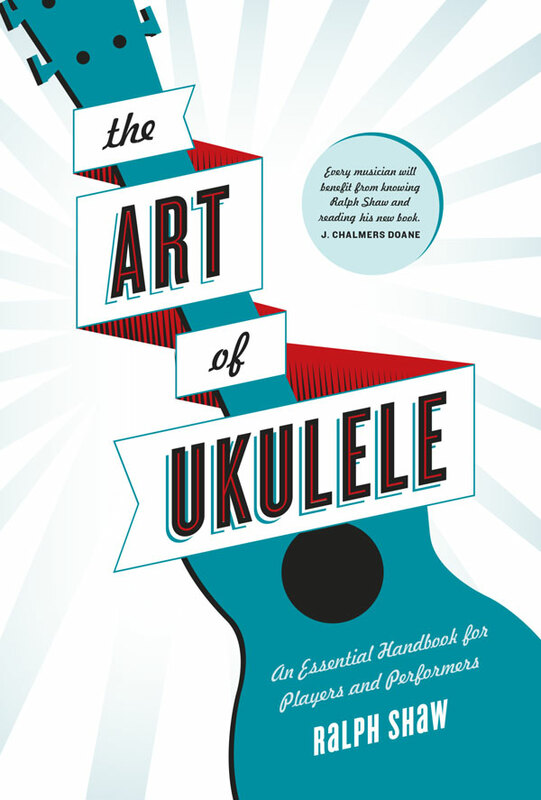 The Art of Ukulele is more than a simple how-to book. In it I share my personal experience and provide a unique view into the development of playing styles, stagecraft and even inspiration. 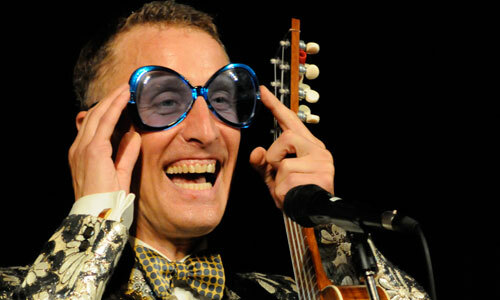 Also included is wisdom gleaned from current and past musical stars such as Bill Tapia, the Beatles, J. Chalmers Doane, Tiny Tim and Paul Casper, a modern-day George Formby impersonator. All in one concise, handy-sized volume—ideal for quick reference. 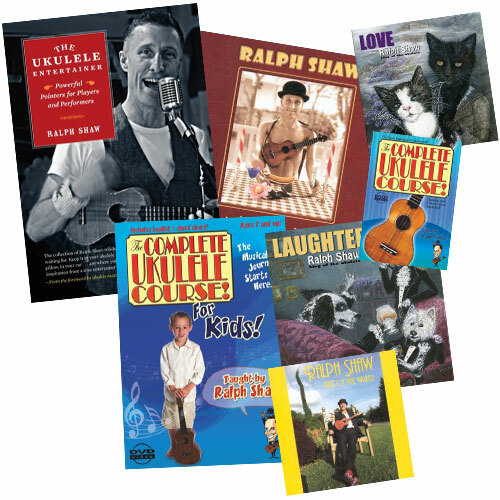 Click here to read more about The Art of Ukulele and buy direct. The Ralph Shaw Micro MegaStore! Unlike other “megastores”, this one only has stuff that you need. Amazing moving pictures of popular performances from years past! 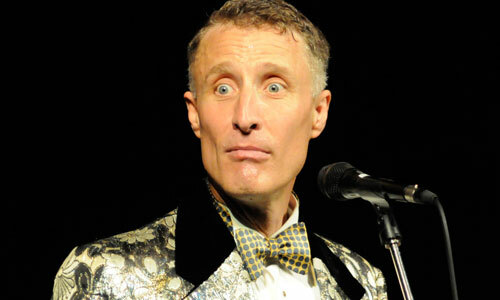 A gallery of images from my years of performing for everyone from unfamous to famous people! Below are recent additions to my upcoming gigs. Visit the Shows page for a complete list. 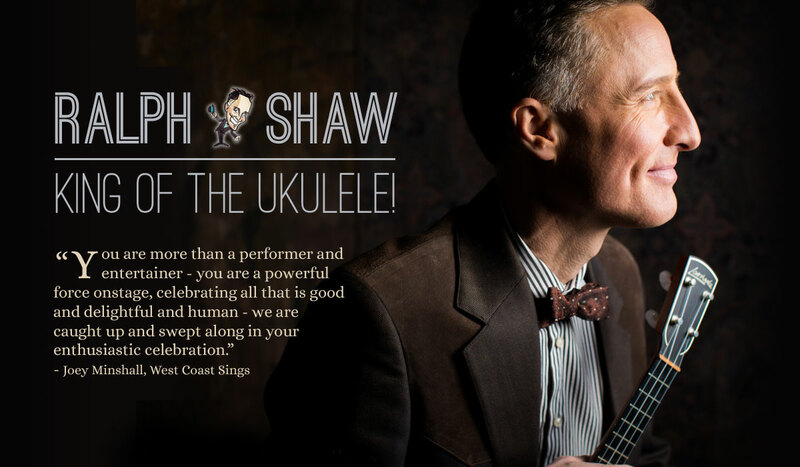 Ralph Shaw is the guest performer teacher on a 3 masted Barquentine sailing around the Netherlands with bike rides and uke classes as we go.